Casino Cruise is an online casino that offers a range of games from Net Entertainment, NYX Interactive, VIVO Gaming, Microgaming adn Play’n Go. Download is not necessary because all games are instant play in your browser. Casino Cruise has a ‘cruiseschip’ theme with backgrounds that make you feel you are on your own cruise ship with a first class casino experience. Casino Cruise also offer over 200 games to play on a mobile device. 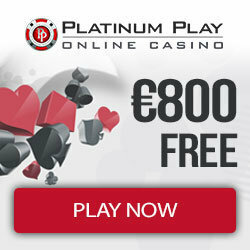 The website is operated and managed by OddsMatrix Ltd and the Casino games, Quickfire, are provided by EveryMatrix N.V. This casino operates under the Maltese Lotteries and Gaming Authority under the laws of Malta. CasinoCruise.com one first class welcome package to get you aboard. You can relax and enjoy the service and other great promotions once you have opened your account. With your first four deposit you can receive a total of €1000 in bonuses and on top of that you will be rewarded with free spins! During five consecutive days, starting on the day of your first deposit, you receive 20 Free Spins on the popular slot Starburst at 12:00 GMT. 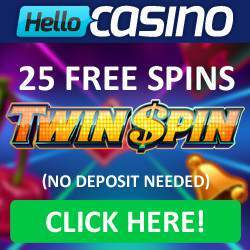 These free spins are valid for 24 hours, so don’t forget to spin those weels! Starburst is one of the more popular slots amongst players of online casino’s and is also available on mobile devices. For bonus details you should always check the conditions. Hop aboard, make a deposit and happy cruisin’! Casino Cruise invites players to enjoy an exhilarating journey and thrilling round-the-world adventure which promises to be full of awesome games. 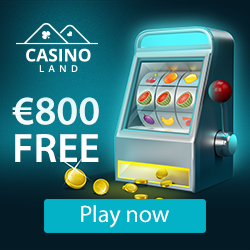 The casino presents over 600 games which include Video Slots, Video Poker Games, Classic Slots, Table Games, Jackpot Games and a selection of other casino games. Video slots, like all the other games at Casino Cruise, are all available to play instantly in a user-friendly interface. Players can choose to view a selection of the slots or all of the slots and can also use the casinos search facility to find any game. Some of the casinos most popular games include Terminator 2, Medusa II, Jurassic Park and Attraction. If you are a fan of table games, then you will enjoy the great selection at Casino Cruise. There is a huge range to choose from which include the likes of Cyber Stud Poker, Super Fun 21, French Roulette and Baccarat. Or maybe video poker games are more to your liking? If so here you can play games like Deuces Wild, Joker Poker, Jacks or Better and All American. The casino is also home to a selection of other casino games like Dragons Fortune, Bonus Keno and Scratch Ahoy. Players can enjoy round the clock 24/7 Live Games like Roulette, Blackjack and Baccarat. There is a good selection of support options available to all players here. Choose from Live Chat, Email Support and Telephone Support. The casino provides international toll numbers for Austria, Canada, Malta and Australia. Players also have the option to request a call back from a customer service agent. You can also choose from a very good selection of FAQ’s. Casino Cruise uses the latest in industry approved Secure Sockets Layer (SSL) encryption technology to ensure any information you send to Casino Cruise is kept safe, secure and fully encrypted. A Random Number Generator (RNG) is utilised to ensure that performance is truly random.